Every now and then a game comes along that completely surprises you. It turns out to be one of those rare gems that just come out of no where becoming a game that you instantly love. You’ll play your first game, then a few more and struggle to come up with things that you don’t like about the game. Our newest Game of the Week is one such game. Villages of Valeria is a tableau builder from publisher Daily Magic Games. What is a tableau builder? 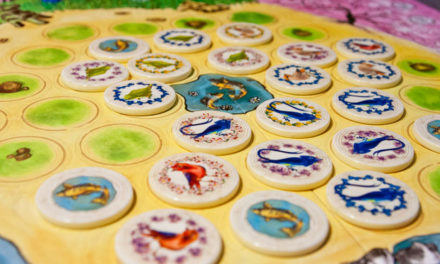 Well other than a funny word, it’s a type of game where players start off with usually a single or small amount of cards on the table, and gradually add to them over the course of the game. By the end of the game, players will have a large array of cards that provide them with an expanded amount of actions and resources. 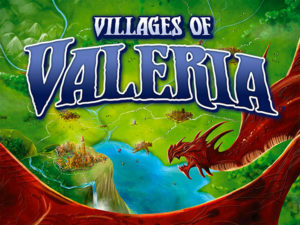 In Villages of Valeria’s case, you are building out your village over the course of the game, with new buildings and adventurers giving you more options. Make sense? 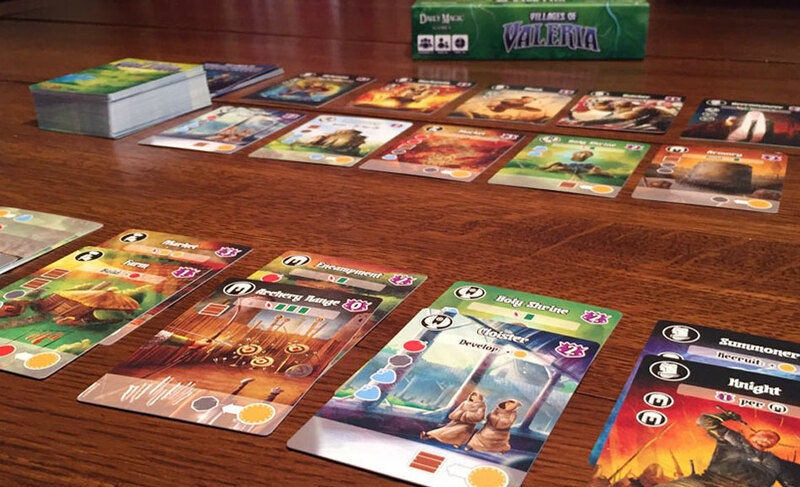 Villages of Valeria puts players in charge of developing the best village in the kingdom. Using the familiar lead/follow action mechanic seen in other games, players will be developing resources, constructing buildings, recruiting adventurers, all while trying to maintain their gold supply. Players are doing this with an eye towards the end game of having the most victory points. I meant it at the start when I said that I don’t have very much to complain about with Village of Valeria. The game play is about a solid as it gets, the artwork fantastic, and it even scales well from 2-5 players. 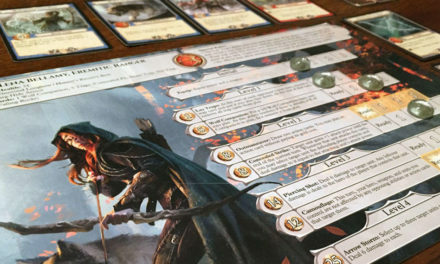 The lead-follow action mechanic also helps to keep players engaged even when it’s not their turn, because they have a chance to take part in the leading player’s action choice. 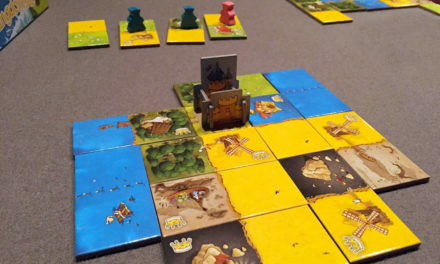 Combine the minimal downtime with its engaging game play and easy to learn rules, and it’s no wonder Villages of Valeria is our Game of the Week.